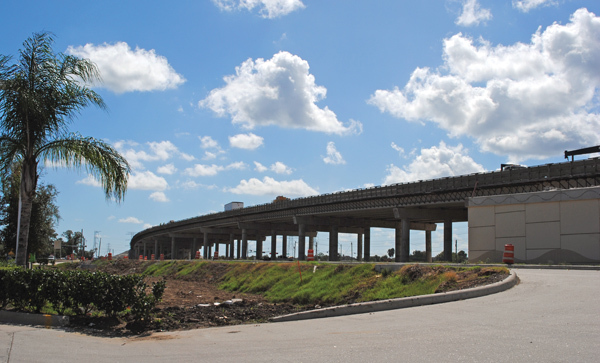 The expansion of Highway 146 is constantly on the minds of Seabrook and Kemah residents as they wonder if it will ever happen, when it will become a reality and how it will affect them. Neither city officials nor the Texas Department of Transportation have any quick answers. It depends on money being available, and so far that hasn’t happened. For months, legislators and Gov. Rick Perry called transportation a must-fix issue, yet the regular session of the Legislature ended without setting aside any funds for road, rail or port projects. However, Perry opened the special session to transportation, which TxDOT officials hope will result in some much-needed funding. Addressing the Bay Area Houston Transportation Partnership, TxDOT’s Chief Planning and Projects Officer Russell Zapalac updated the crowd on his agency’s work, explaining that the project is really three construction projects – Red Bluff to NASA Parkway, NASA Parkway to the Harris/Galveston county line and from there to FM 518. The $221 million, three-mile expansion of the highway to a 6-to-12 lane project from Red Bluff to FM 518 is dependent upon funding availability, Zapalac said. TxDOT is currently completing two projects totaling about $54 million in the Port Road/Red Bluff area that will be completed in the spring of 2014. The transportation agency also is working with the City of Seabrook to prioritize ROW acquisitions. In connection with these acquisitions, Seabrook Economic Development Director Paul Chavez said the city is working to prepare businesses for the project. “There is still a lot of surveying and acquisition of right-of-way,” he said, adding that it may take several years.